And then we tacked on a family vacation that included the San Diego zoo and Disneyland, and then I came home to a lot of work that had piled up while I was gone, and then there was the whole announcement of the television thing. Boy, did that get weird, with the production company issuing denials and asking me to change my blog. There are a bunch of things I’ve been meaning to pass on, so today I’ll do the apes stuff, and later I’ll do an update on Raising Stony Mayhall. Last night, I took the kids out to see the new movie, and it was pretty damn good. Andy Serkis’ performance as Caesar the chimp is the heart of the movie, and everytime he’s on screen you can’t look away. I recommend. Two interviews just went up. Part 1 of my conversation with Matthew from the Comics.. and Other Imaginary Tales blog is live, and my interview with Jeff of the Scoop newsletter is now live. Jeff also reviews issue #4, which is really a review of the series so far. 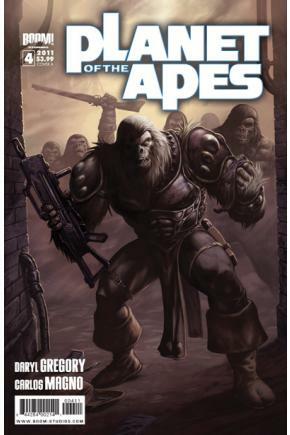 The great guys at Ideology of Madness are holding Ape Week to celebrate all things POTA. 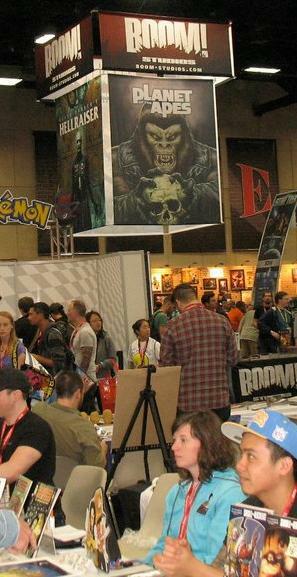 (That’s Planet of the Apes for you people with lives.) 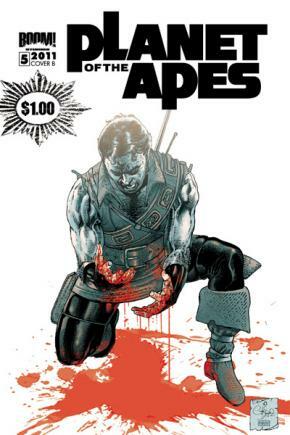 They’re giving away the first trade paperback of the Planet of the Apes comic, signed by me. Do it! It’s free! Click to enlarge any of these fine, fine covers. The links will let you buy online from BOOM! 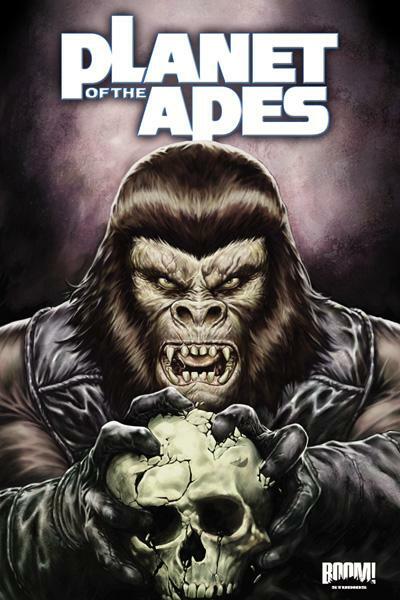 Also out soon — the trade paperback that collects issues 1 through 4, for only $9.99. So you can get the complete story up to number 5 for 11 bucks. Such a deal. 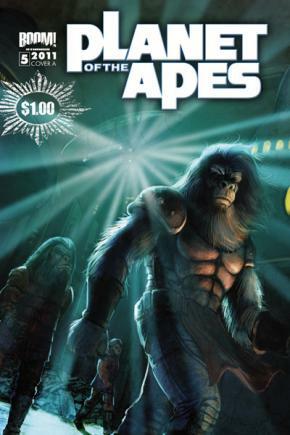 Just picked your Planet of the Apes comic book and I’m loving it! 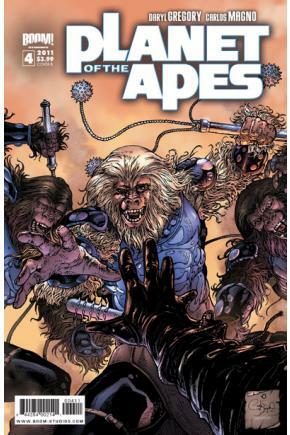 Seriously great stuff It’s now on my pull list, and I’m grabbing Pandemonium from amazon. Cheers! Thanks for the kind words, man! And for taking the time to tell me. Hope you dig Pandemonium.